Distance from the capital is not a barrier for artists to be assisted by NACZ. 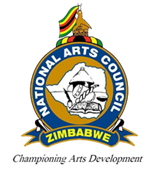 No matter where one lives in Zimbabwe there is a provincial NACZ office that is equipped to assist artists on matters of interest and various services required. These offices can be a great asset for all artists. A number of programmes are also run from the offices in partnership with stakeholders. Murewa Culture Centre can also offer specialised workshops and arts-in-residencies.